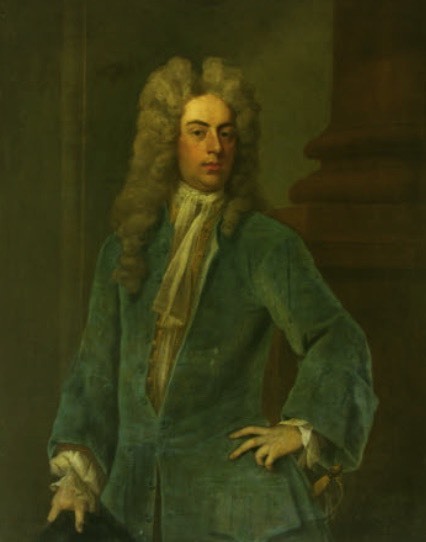 Son of Anne Talbot (1665 – 1720) and Sir John Ivory (1655 – 1695), he succeeded his grandfather, Sir John Talbot (1630 – 1714), at Lacock, and changed his name to Talbot to acknowledge the source of his good fortune. He married Mary, daughter of 1st Baron Mansel of Margam, whose behaviour is said to have driven him to drink. There is more than just a passing reference to this in the Lacock Archives. According to them, there are many references, including John Ivory Talbot’s letters to his brother-in-law, Henry Davenport. From these it would seem that she either had a mental condition, or had some sort of illness that caused her so much pain that it was literally driving her mad. Thomas Talbot, who became 4th Baron Mansel. There remained close links for several generations between the Talbots of Lacock and their Welsh cousins at Margam, who gave their name to the docks at Port Talbot. John Ivory was MP for various boroughs, including Ludgershall in 1715-1722 and Wiltshire from 1727-1741, but is most famous for transforming Lacock. He began by remodelling the Dining Room in a classical style, but in 1753 he was introduced to the architect Sanderson Miller, a pioneering advocate of the new Gothick style. He designed a new approach to Lacock through a Gothick arch and rebuilt the abbey’s west front around a Gothick hall, which remains today. He died in 1772, aged 85.